Long Slim Red Cayenne is one of the best known hot chili peppers, it is a good long hot chilli that always performs well and dries nicely. Producing an abundance of very wrinkled fruits that grow 12 to 15cm (5 to 6in) long, the fruits have thin flesh and are used fresh in hot sauces or dried and ground for cayenne pepper. At a heat level of around 30,000 to 50,000 SHU, they are one of the best peppers for seasoning pickles and salsa. 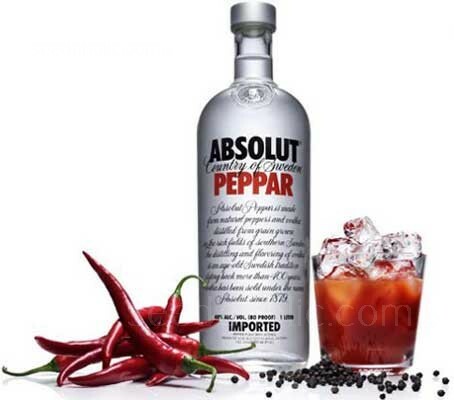 Good for deep freezing and perfect for adding a kick to a Bloody Mary or to vodka. Long Slim Red Cayenne is a very productive plant, it is upright-growing and reaches about 60cm in height. 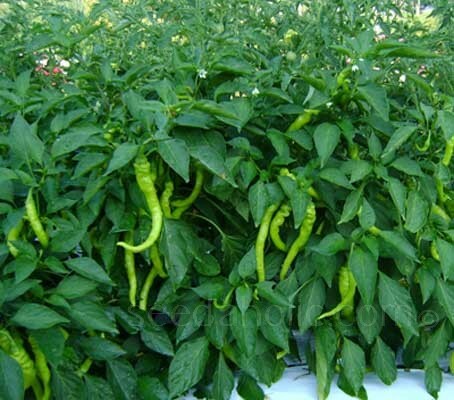 The plants are covered with long, thin peppers which mature from emerald green to a scarlet red in approximately 70 days. This very attractive plants also make quite a spectacle when grown as a conservatory or patio plant. According to one anonymous writer, this variety was first documented in 1493 by Christopher Columbus and that one of his passengers, a man named de Cuneo, described how Native Americans ate peppers like one would eat an apple. 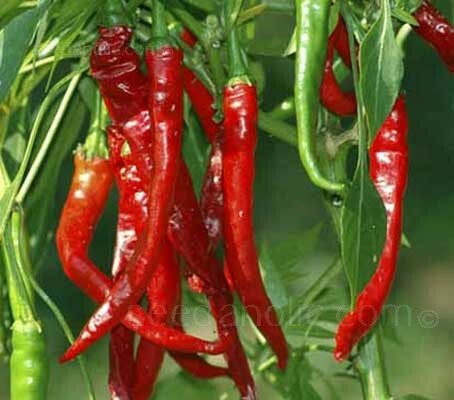 Cayenne peppers are used threaded onto a string as attractive 'Ristra' craft decorations. Chillies will take a few weeks to develop and a further couple weeks to turn from green to red. Harvest any time after they are fully developed. Use scissors to snip the fruits so you don't damage the plant. Chiles originated in South America, where they have been under cultivation since prehistoric times. The seed's long viability facilitated the rapid spread of the plant throughout the tropics and sub-tropics by the Spanish and Portuguese, the spice becoming as popular there as vine pepper. 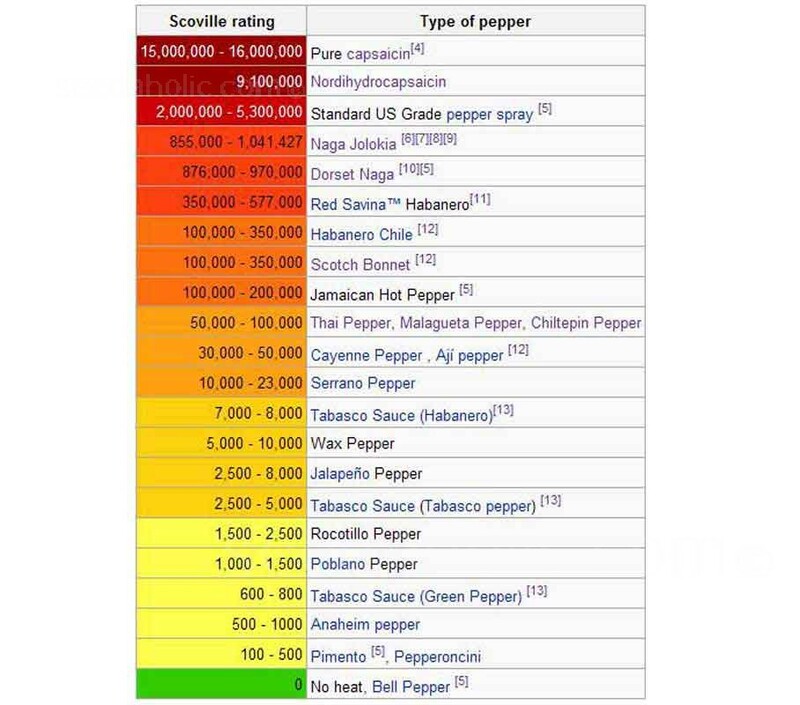 Chiles were long known as 'Indian' pepper - meaning 'of the New World' rather than 'of India'.